Australian mining and mining supply companies need to do much more to raise awareness of their industries amongst young Australians and build the workforce of the future, according to new research. Research by youth research agency YouthInsight with a nationally-representative 1061 senior high school students and first year university students aged between 15 and 20 found that knowledge of mining careers was extremely low, with 59 per cent of young people knowing nothing at all about mining careers. And only 30 per cent of students had an interest in a career in mining or the mining equipment, technology and services (METS) sectors. “Despite mining and METS providing jobs for 1.1 million Australians – or one in every 10 jobs – and great future prospects for our industry, it’s clear that we must do much more to make young people aware about the opportunities and rewards in mining and METS,” METS Ignited CEO Ric Gros said. “Australia’s world-class METS sector will need many highly-skilled young people to fill the jobs of tomorrow including drone pilots, environmental and social scientists and engineers. The jobs are there – areas of the METS sector such as information and communication technologies and professional and technical services saw 164 per cent job growth between 2005 and 2015. The survey results were released at the MCA Minerals Education Summit in Melbourne, which is bringing together leaders from industry, academia and government as well as students and graduates to consider the future minerals workforce and discuss changes to skills and education required to deliver new skilled professionals to the Australian mining and mining services industry. Australian mining and mining services employers were described as “important to the Australian economy” (63 per cent), “important to Australia’s future” (52 per cent), using leading-edge technology (35 per cent), “providing lots of opportunity” (35 per cent) and “innovative” (34 per cent). MCA Executive Director Minerals Tertiary Education Council Gavin Lind said innovative technology such as automation, drones, robotics and artificial intelligence was changing the face of the modern mining sector. 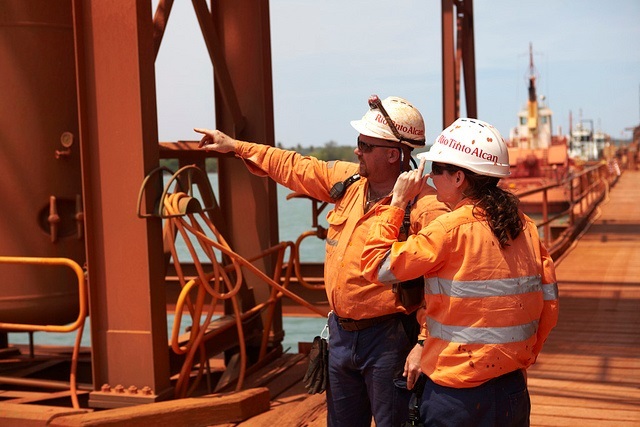 “This survey helps us understand the career preferences for our future workforce and address some of the misconceptions about a career in Australia’s world-leading minerals industry,” Mr Lind said. “Our industry has a great story to tell – our high-skill, high-wage workforce is younger, better-paid, better trained and has a much higher share of apprentices than other sectors, with average full-time weekly pay of $2,610, 67 per cent higher than the all-industries average. AusIMM CEO Stephen Durkin said that as the representative body for the 65,000 professionals working in the resources sector, the AusIMM recognised the importance of education in the industry, particularly through the AusIMM Education Endowment Fund which provides students with the support to study towards a minerals industry career and build the professional workforce of the future. “The future of the resources sector relies on students continuing to be attracted to the immense opportunities for professionals in the minerals industry,” Mr Durkin said.